Fibromyalgia is a complex and often misunderstood disease, but that doesn’t change how much it affects your life. Phil Striano, DC, intimately understands the condition and provides various chiropractic and physical therapies to help you tame the widespread pain. Visit Hudson Rivertowns Chiropractic in Dobbs Ferry, New York, to explore all the ways Dr. Striano can reduce your pain. Call the office or book an appointment online. Fibromyalgia is a chronic neurological condition that causes pain and tenderness throughout your body. Researchers haven’t found a definitive cause of fibromyalgia yet, but they think it’s caused by a communication disruption in the nervous system — signals between the brain and nerves seem to change or become amplified. Other risk factors that seem to play a role in your likelihood of developing fibromyalgia include gender, genetics, and physical activity. Since fibromyalgia has no definitive cause, it also has no clear-cut diagnostic test. Instead of testing for fibromyalgia, Dr. Striano uses a process of elimination to rule out other conditions that cause similar symptoms. 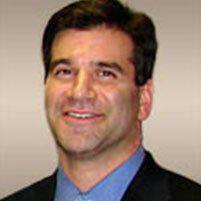 Dr. Striano begins by taking your medical history and performing a physical exam. He may order labs and imaging tests to rule out conditions like arthritis, myofascial pain syndrome, and lupus. How can a chiropractor treat fibromyalgia? Dr. Striano uses a combination of chiropractic care, trigger point therapy, cold laser therapy, and lifestyle guidance to help you manage your symptoms. Fibromyalgia causes the muscles to tighten, leading to loss of movement. To prevent this loss of mobility, Dr. Striano recommends ongoing spinal adjustments to keep everything loose. Trigger points are different than tender points caused by fibromyalgia. Since trigger points can be a source of radiating pain, Dr. Striano places light pressure on the spasming muscle fibers to deactivate them. Dr. Striano uses cold laser therapy to promote healing in the affected muscle tissues and decrease pain, allowing you to regain some mobility. Self-care has a tremendous impact on fibromyalgia symptoms. Dr. Striano helps you find ways to sleep better, exercise, eat well, and work in a way that promotes healing and well-being. Call or click to schedule an appointment at Hudson Rivertowns Chiropractic.